All the hard work to establish a radio station has finally paid off for the Aboriginal community of Normanton. Funding has been approved by ATSI Affairs Queensland to build a studio and for transmission equipment. Francine George and the local committee have been instrumental in taking the idea forward and doing the leg work. QRAM will construct the facility and train the station staff and assist in any way we can to bring the service on line. The new station will have the same support in terms of programming that the other 13 stations on Black Star receive, connection to the Wide Area Broadband Network and connection to Vast Satellite for sport and youth music; a virtual second broadcasting highway. 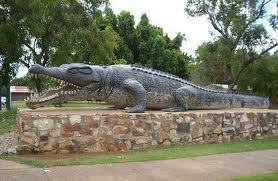 Normanton is in the middle of the Gulf Country and was established as a white settlement in 1868. The town’s population is 1,350, 60 per cent of whom are Aboriginal peoples. 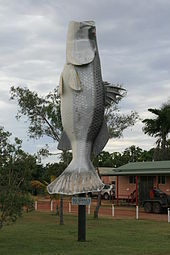 Located on the Norman River, the town is known as the Barramundi capital of the North. The Aboriginal people have continued to survive here for tens of thousands of years. The nomenclatures of clans and languages and the history of the area remain the same. The history of removing people from their land began in earnest in the last century. Tribes from the region were forced into a camp on the outskirts of Normanton. They were kept there in a shanty town until the 1960’s when they were moved into town or moved themselves on to cattle stations and towns; some were moved to Doomadgee and Mornington Island. The Normanton area of the Gulf of Carpentaria holds the traditional lands of the Gkuthaarn, Kukatj, Kurtijar and Kokoberrin peoples. One traditional owner clan, the Kurtijar people, are owners of some of the land around Normanton, and they own Delta Downs, a very successful cattle station which provides local employment opportunities, as well as an important opportunity for people to have continual access to their traditional country. Normanton can boast a train service;The Gulflander. It was built during the gold rush in the 1890’s and now operates once a week from Croydon.